Starting on Monday 10 December 2012 and listed for two days is In the matter of Digital Satellite Warranty Cover Ltd & Anor v Financial Services Authority. The appellants provided extended warranty contracts in relation to satellite TV equipment, and the FSA brought an action against them alleging that they were unlawfully carrying on a regulated activity without the required authorisation by entering into contracts which constituted “contracts of general insurance” within the meaning of art 3(1) of the Financial Services and Markets Act 2000 (Regulated Activities) Order 2001 SI 2001/344. It is for the Supreme Court to determine whether extended warranties for satellite television equipment are “contracts of general insurance” within that meaning. Case details are available here. From Wednesday 12 until Thursday 13 December 2012 is the appeal of the Financial Services Authority v Sinaloa Gold plc & Ors. In this matter the FSA obtained a freezing injunction in respect of assets owned by the defendants. The injunction contained an undertaking to compensate third parties for loss suffered as a result of the injunction, which extended beyond the costs of complying with the order. The FSA then applied to have that undertaking removed and the appellants sought to be joined to the proceedings as an intervenor to oppose the application. The Court of Appeal reversed the High Court’s decision and allowed the FSA to remove the undertaking. 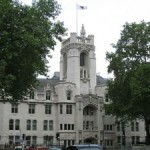 The issue for the Supreme Court is whether the FSA should be generally be required to give a cross-undertaking in damages to third parties (affected by a freezing injunction obtained pursuant to its statutory regulatory functions) above and beyond the costs incurred in complying with the order. Here are the case details. On Wednesday 12 December 2012 the Supreme Court will hand down judgment in the following: X v Mid Sussex Citizens Advice Bureau & Anor, In the matter of X, and Imperial Tobacco Ltd v The Lord Advocate. In the Privy Council on Tuesday 11 December 2012 is the Jamaican appeal of Bonnett Taylor v The Queen, which concerns whether the appellant’s conviction for murder is unsafe – during the trial a statement from a witness that undermined the only evidence connecting the appellant to the murder was not disclosed to the defence. For more information the case details are here. On Wednesday 12 December 2012 is Hassen Eid En Rummun v The State of Mauritius, in which the Judicial Committee will determine whether the appellant’s sentence for aggravated larceny was excessive in light of the extensive delay in the proceedings, contrary to the Mauritian Constitution, and whether the sentence infringed the principle of proportionality. Here are the case details. Finally for this week is the appeal of The Attorney General of the Turks and Caicos Islands & Anor v Richardson (as Trustee in Bankruptcy of Yellowstone Club World LLC) on Thursday 13 December 2012, a land registry dispute. Further details are here. Kinloch v Her Majesty’s Advocate, heard 26 November 2012. Lloyds TSB Foundation for Scotland v Lloyds Banking Group Plc, heard 27 – 28 November 2012. Zakrzewski v The Regional Court in Lodz, Poland, heard 6 December 2012. 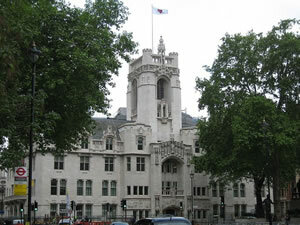 Leave a reply on "In the Supreme Court w/c 10 December 2012"